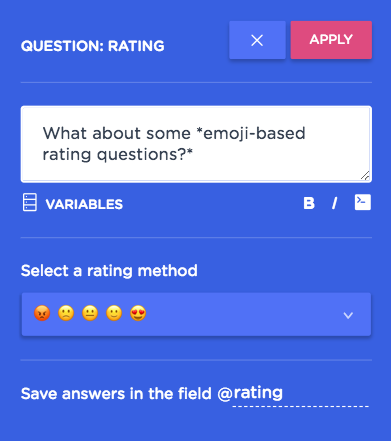 In surveys, one of the most commonly used question types is Rating and Scale questions. Respondents are asked to indicate their personal feelings on something, such as agreement, satisfaction or happiness. 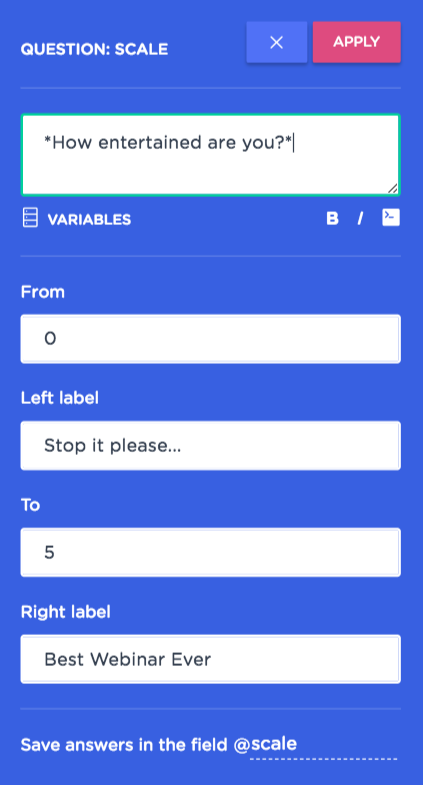 Now you have the possibility to use these questions on Landbot! Lowest value in the scale. Tagline for the lowest value. Highest value in the scale. Tagline for the highest value. 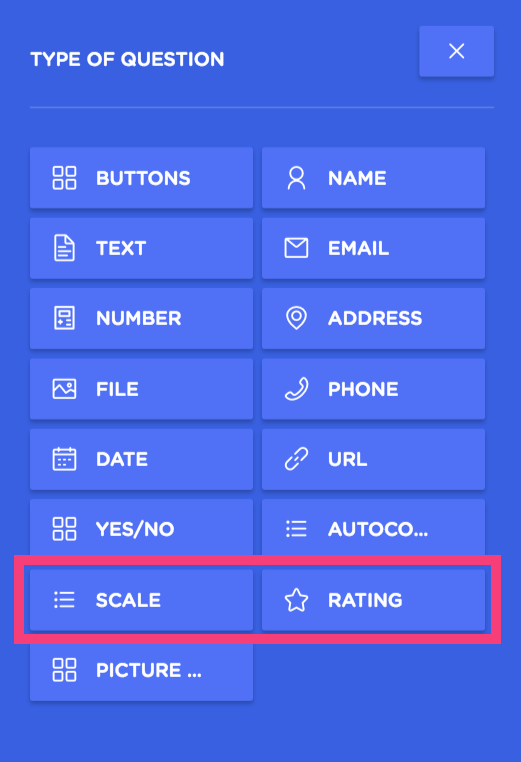 Now you know how to configure Scales and Ratings, go and ask your users everything you need to know in the most interactive way possible!